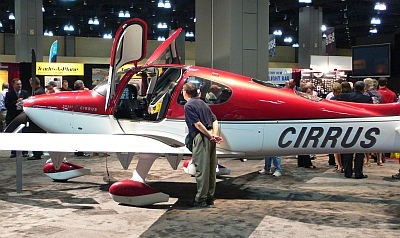 This Special Edition of the Airplane Geeks podcast is the second of two parts with interviews from the 2011 AOPA Aviation Summit. This three-day event was held 22-24 September 2011 in Hartford, Connecticut. Max recorded brief interviews with exhibitors, speakers, and participants. Lindsey Dreiling, Admissions Representative, Kansas State University. Sean Collins, Senior Technical Specialist, Government Affairs, www aopa.org, www.letsgoflying.com. Bernice “Bee” Haydu, Woman Airforce Service Pilots (WASP), Letters Home 1944-1945. Mason Holland, CEO and Chairman of the Board, Eclipse Aerospace, Inc..
Ben Freelove, Director of Operations/ Instructor, Tutima Academy of Aviation Safety. Alan Klapmeier, CEO, Kestrel Aircraft Company. Laura Gaerte, Air Race Classic all women’s transcontinental air race. From Century Aviation at DeKalb (Indiana) County Airport. Tom Ham, Production Manager, VoiceFlight Systems, with special (i.e., unexpected) appearance by Max Trescott. Wayne Ellis, The Aviators TV show. This entry was posted in Episodes, Special Edition and tagged air racing, AOPA, Cirrus, Eclipse, Kansas State, Kestrel, Tutima, TV, VoiceFlight, WASP on November 6, 2011 by maxflight.